Nice work adi, and thanks for the lighting idea Papa Gleb. I went and got a new deadbolt. Was somewhat difficult to get marks on it. Was more difficult to "follow" and file on the correct marks. Took me around 2 hours. 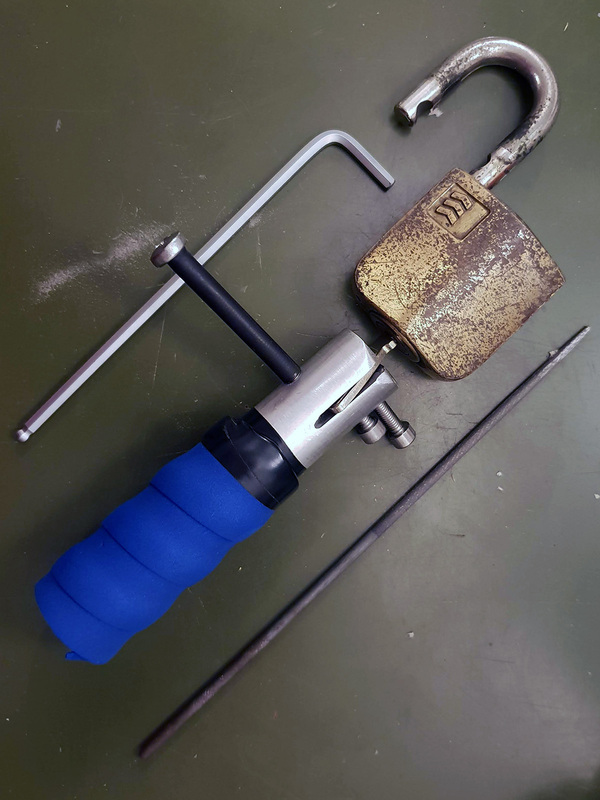 I impressioned a Sargent Keso padlock. Twice. 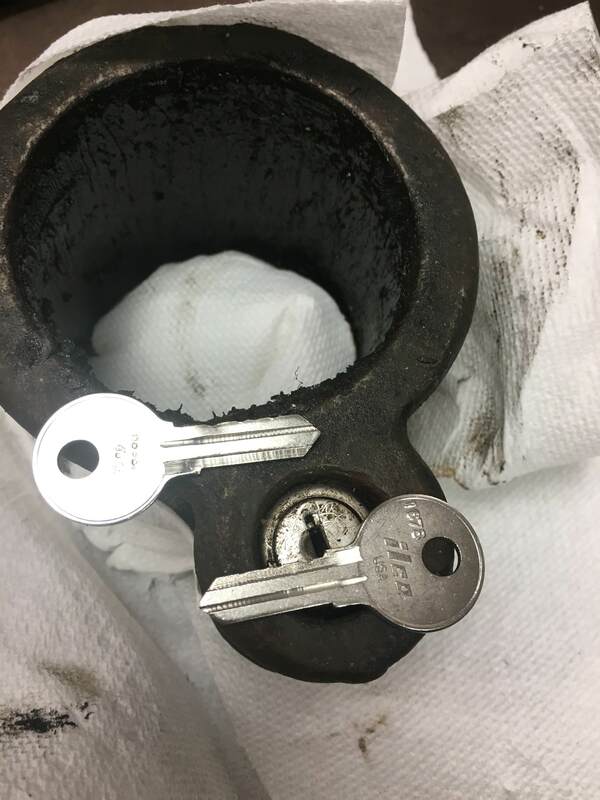 Kind of a "Two for One lock". The flat key releases the Cylinder housing so the lock can be removed from the drawer. Used a sharpie to get marks and cut with a key machine. 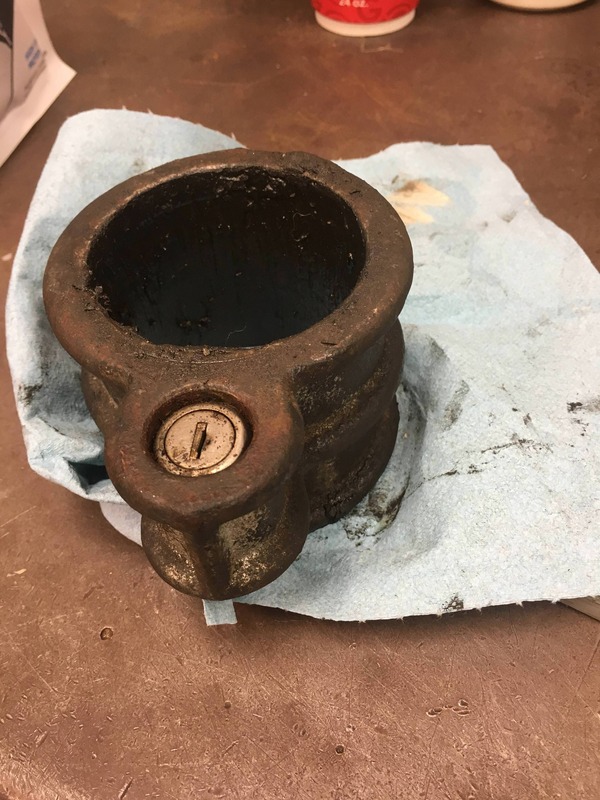 The key that operates the cylinder, used the shops ITL9000 to cut a Zero bit blank. HPC clean grip to bind and mark, back to the ITL to take down the marks to the next depth. Wash, Rinse and Repeat. It was a real challenge for me. 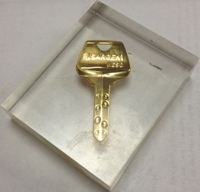 This key has a bitting fitting for a challenge lock one would send to BosnianBill. 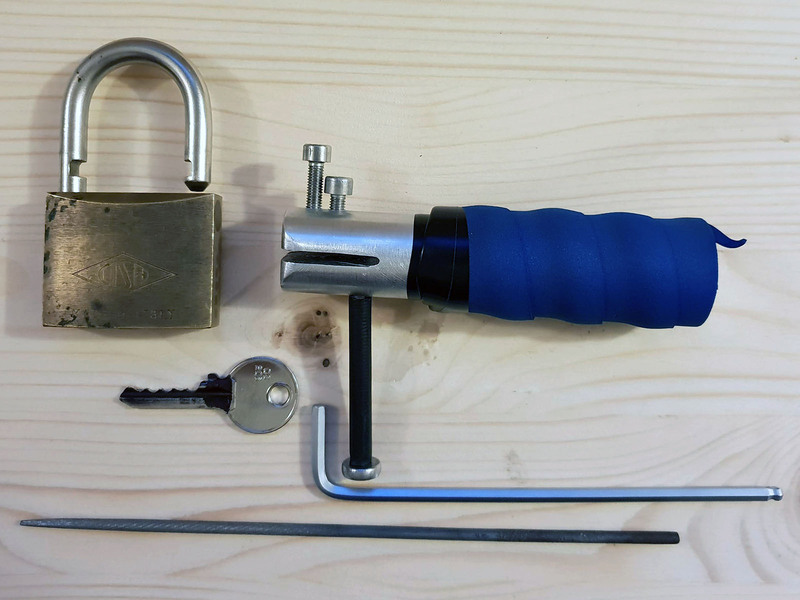 I bought an old CISA padlock without keys, and decided to make a key for it. After some time I had all the 5 positions on the key almost completely filed. I was going to give up, because I thought I filed too much. So I sorta cheated and picked the lock to see the bittings. To my surprise the pins felt more or less the same length. Since I was almost there I continued impressioning and here is the working key! I decoded it with the nice LockCon 2018 necklace, that is meant for Abus but should work with CISA too, the bittings should be 76776.